For the second consecutive year, White Dragon Judo Club has sent a team to Pendleton, Indiana for the America’s Cup Judo Championships. 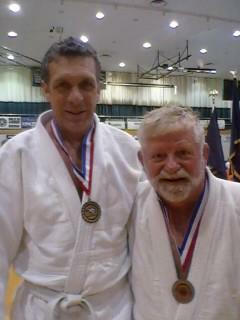 The judo tournament got underway at the Anderson YMCA on September 9, 2012. Andrew Lazarz made his return to the mat after a long layoff from an injury. The judo veteran showed off some crafty moves on his way to bronze medal finish. Anna Feygina came up short in the semi finals and had to settle for bronze in her the division. The MVJ ( Most Valuable Judoka) of the day was Sensei Derick Wellman. Sensei Wellman fought at a lower weight class for the first time in his career. The weight loss did not diminish his skills. Derick won his championship match by wazari. 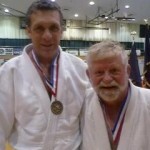 No doubt about it White Dragon Judo Club represented well and did not fall short of success.